I guess I better get this posted before it more than a month old. This should be a monthly review of or jumbled thoughts on the books I read in the previous month. I mentioned in an earlier post about reading Sense & Sensibility, which of course I’ve finished by now. It still sits at the bottom on my incomplete Austen reading list. For a romance, it is not very romantic. 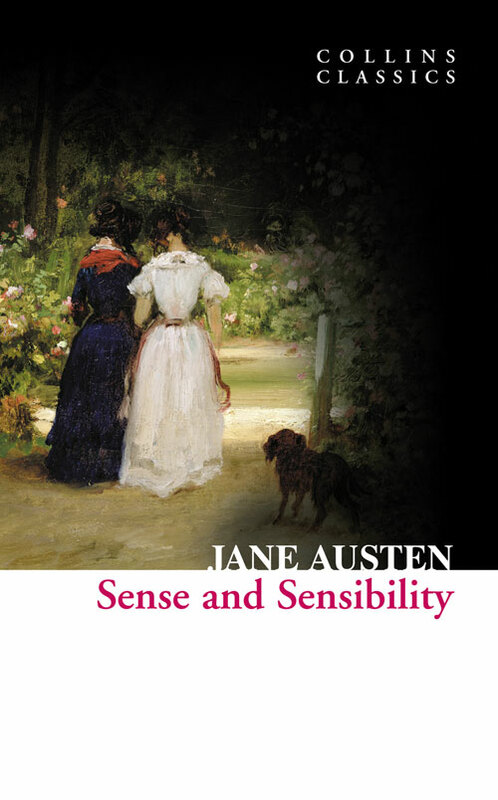 Most of the characters are dull, especially compared to Austen’s other novels. I already wrote how I feel about the protagonists and that has not changed, but their love interests also leave something to be desired. Not that analyzing the appeal of male romantic leads is something I do often. Edward does not seem to be truly liked by anybody but Elinor, and that is probably because they are equally dull. He a good guy, one of the few characters in the novel that will do the right thing no matter the pressure applied to him, but the viewpoint keeps us too far back to get a feeling on his struggle about he ill-considered first engagement. You want Elinor and Edward to get together, but it is not very exciting or interesting; it’s nice. Now Marianne’s interests are somewhat more exciting. Willoughby is a rogue, but rogue are great romantic leads. He is too selfish. That is his and most of the characters in this novel’s defining trait. His feelings for Marianne, whatever they actually are by the end, will never overcome his desire to please himself first. The reason he is not with her at the end is that she was not convenient. Col. Brandon, on the other hand, is selfless, but about as interesting as Edward. Looked at through a certain light he seems creepy. He is chasing after a girl young enough to be his daughter because she looks like his first love. However, this is a much skewed version of what is going on. His biggest fault is that selflessness, which causes him to not make his interest more known to Marianne. He is a nice guy, a generous and helpful guy, but not the stuff of great romantic passions. That is what separates this from Pride and Prejudice. The romance is without passion. It is more realistic, more grounded, but less entertaining. Also, the books view on society is more scathing. Most of the amusingly hypocritical secondary and tertiary characters are terrible people. This novel buck the saying that “nice guys finish last”, but in doing so shows why they often do in fiction. Nice is boring. I’m not a fan of post-colonial criticism. I just don’t care about the viewpoint it takes. But that is the most obvious take on this novel. While it is a fine adventure, the racism can’t help but jump out to a modern reader. 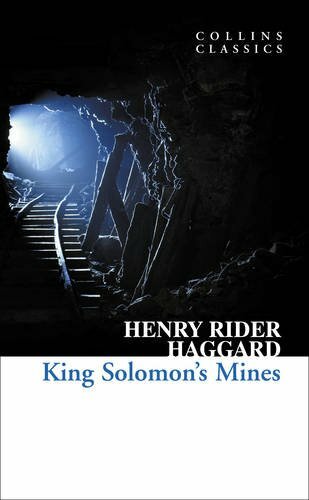 It does seem that Haggard is straining against it at times in the novel. A romantic subplot cannot be consummated due to the racial biases of the white characters. Haggard shows how broken up the character is about the loss of his potential love, but the characters friends’ take on the situation is that he is lucky she dies because they could never be together. Then there are Kukuana, the tribe of Zulu-like Africans that guard the titular mines. They are a great people and except for the obvious villains and their barbarous mostly not shown as savages. But despite being a great race of warriors, they still pale in comparison to the three white explorers, with or without their guns. Quartermain, the narrator, notes that he has known as many blacks worthy of the title gentleman as whites, but the novel still puts them at a disadvantage. Regardless, it is a fine adventure. This series, The Long Price Quartet, came highly recommended from several sources but after A Shadow in Summer, the first book, left me somewhat under whelmed. It wasn’t bad, it just couldn’t match the high expectations I had from the effusive recommendations. It felt small, inconsequential. The stakes were not high and the characters took a long time to engender any empathy. It was, however, it was the first book in the series and clearly not the complete tale. 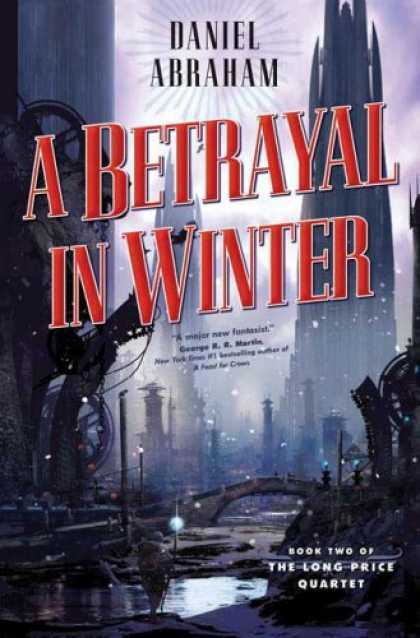 A Betrayal in Winter succeeds more than A Shadow in Summer by virtue of being its sequel. The foreign world, even for a fantasy series, is more familiar. The characters, still complex and sympathetic if not wholly likeable, are already known. The conflict has grown from the small and personal scope of the first book to one that is still personal, but much wider in scope and larger in scale than before. A Betrayal in Winter reaches the heights it does by standing on its predecessor’s shoulders. Betrayal follows the further life of Otah and Maati, the protagonists of the first book. Otah is the more or less disowned son of the Khai¾Lord¾of the city Machi. Maati is the poet, the series’ equivalent of mages, though that is a gross simplification, who has been disgraced after the events in the first book. When the Khai grows old is the custom of the land for his recognized sons to kill each other until only one is left. When his eldest son dies in a manner not approved of in their sick game, poison, the blame quickly falls on Otah. Due to their shared history, Maati is sent to investigate whether Otah is responsible. Otah himself is drawn to the city and they both search for the killer. The third player in this story is Otah’s sister Idaan, who BIG SPOILER FOR THE FIRST 50 PAGES is the killer. What is great about the book is how real, how human each of the characters are. While Maati’s life has clearly not been happy, he has not let is grind him down. He is not a great man but he is constantly thrust into situations that require one. His failure is inevitable. Otah is a great man, but he mostly tries to avoid being one. He does not want those situations that often fall to Maati. It is a selfish desire, but an understandable one. Idaan, the closest thing the book has to a villain, is not unlikable. She is the twisted reflection of Otah. He tries to avoid the savage games of his family, while she, excluded due to her gender, wants desperately to be allowed in. What she does is reprehensible to us, because murder is a bad thing, but in the world of the novel, these people were going to be murdered anyway. What makes this terrible in their society is that a woman, not a sanctioned player, is trying to participate. The only reason that Otah does not look like a bad guy too is that he refuses to participate. If the later books in this series match A Betrayal in Winter, or improve on it as it improved compared to its predecessor, this is one of the finest series in the genre. Highly recommended.